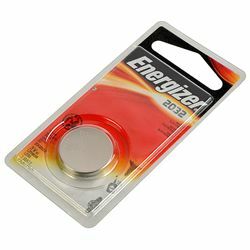 The Energizer 2032 coin cell battery is used as a CMOS battery in computers, and can also be used in heart-rate monitors, keyless entry devices, glucose monitors, toys and games. It is designed to hold power for up to eight years in storage. Keep away from children.